Children growing up in orphanages may be 'true' orphans, meaning that both of their biological parents are no longer living. More commonly, children growing up outside of family care, do have living relatives, but for many reasons these living blood-relations are unable to provide a child with a safe and supportive home environment. Unable to be placed with extended family, these children are institutionalized within orphanages, group homes, or a foster system. Many will grow up unattached to any single caretaker or loving person, the long-term effects being that these children will grow into adults who commonly experience mental health and behavioral issues. However, many children create their own families within difficult circumstances. Though there is no official term, many professionals working with these children witness strong familial-like bonds between specific children. This bond is commonly referred to as "Psychological Sibling Relationships". Children who live, play, and experience life together as siblings over many years bond in exactly the same way as siblings growing up in a family. They are each other's brothers and sisters. Agency staff had the wonderful opportunity to visit the orphanage that these boys have called home for the first 11 years of their lives. It is a large orphanage with several hundred children, and children with a wide range of needs. Throughout their time at the orphanage these boys have been in the same “group” of children due to their age and development. As a result, these boys have developed a “brother-like” bond. Staff initially had a meeting with “Y”, one of the boys, to get to know him better. It was clear that he was very nervous, so she asked if his best friend could join us as well. He enthusiastically asked for “H” to join them. Once the boys were together, both began to open up, and she was able to see their smiles more readily. The energy of each of the boys draws you in, as they sat next to one another showing us their school books, and how they could read the various assignments. For several years, the orphanage advocated for these boys, and several others, to attend a local community school to receive a higher level of education. But the school was unwilling to let the boys attend due to them being from an orphanage. However, the orphanage continued to advocate on behalf of the children, and this is the first year that the children have been allowed to attend! They were both so proud of their school supplies and books, and so eager to show us their school assignments! The volunteers that agency staff traveled with do a series of trainings regarding occupational therapy and speech therapy techniques for the orphanage staff that the staff can utilize to care for the children. Because “H” didn’t have a school to attend, in previous years he attended several two hour long trainings, he had such a desire to learn! This year he was attending community school! He shared that when he grows up he wants to be a chemist! He also shared several homework assignments with perfect scores! His friend, “Y” also enjoys school, but works harder to learn. However he was able to read to us from his school books, beyond where the teacher was teaching! “H” assists “Y” on his school assignments, and was reading along with him, until we asked him to let “Y” have a turn, and we would hear from “H” next! “Y” was very proud to show us his artwork, even a certificate that he won for entering his handicrafts into a contest! “Y” also enjoys helping his best friend “H”. 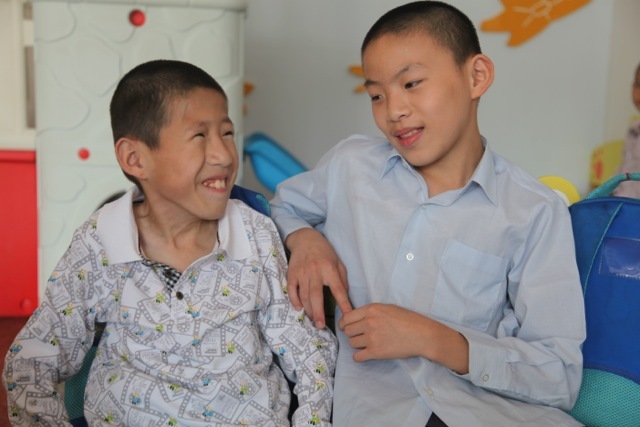 He says that he assists him in buttoning his school uniform, as that is hard for him due to his physical deformities. “Y’s” caregiver also said that he frequently assists her in feeding the children with more significant physical and cognitive challenges, and that he is happy to assist. If you are interested in adopting these 'brothers' together, please contact us! Please reference “Y” and “H” to learn more about them. 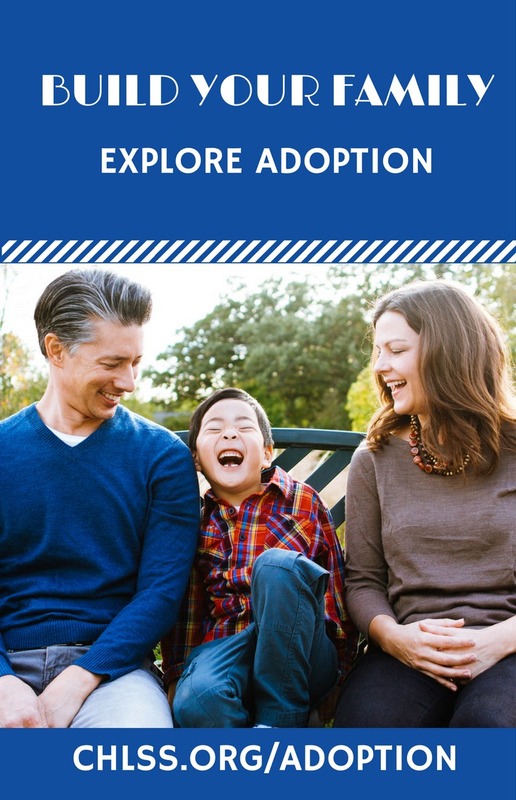 A $10,000 Child-Specific-Grant is available to their adoptive family. Eligible families may also qualify for a grant through LSS/CH and Brittany’s Hope Foundation.